A big part of being a producer in both digital and media production, as well as any other project management environment is the technical documentation. 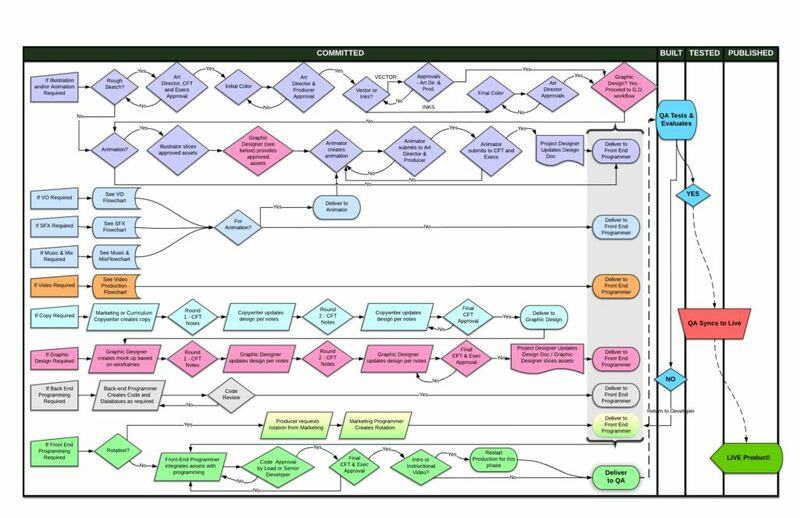 From team and process workflows and product lifecycle management evaluations, to product specifications or character mapping for creative development, among others, I’ve developed tech docs for use by team members, outside clients and vendors, and executive stakeholders or prospective investors who want to better understand the larger concept. 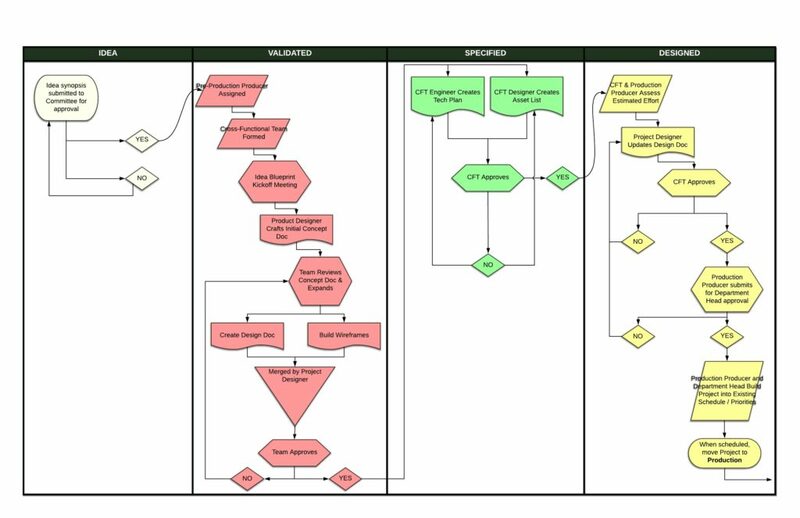 The document pictured below is a process workflow document outlining the development and creation of a new site feature for a digital product from conceptualization, validation, and the various steps through cross-functional teams to build out the feature, quality control it, and push it live.